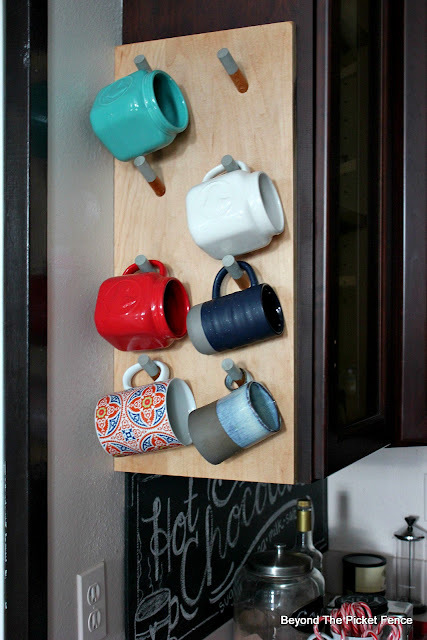 I am not always great at making things for myself, but today I decided I needed a mug rack at the end of my cupboards near my coffee station. Happy Sunday! I don't ever remember a time when I haven't prayed. I have seen prayer change lives. When I tell someone I am praying for them, I mean it and I do it. But, I have realized lately that I use prayer in a way that I don't think God intended us to use it. I often pray as a means to control situations that I have no control over. I pray to let God know what I need him to do and to try to influence and control him. Praying is or should be communicating with God--a time to better know Jesus and reflect on who he is. 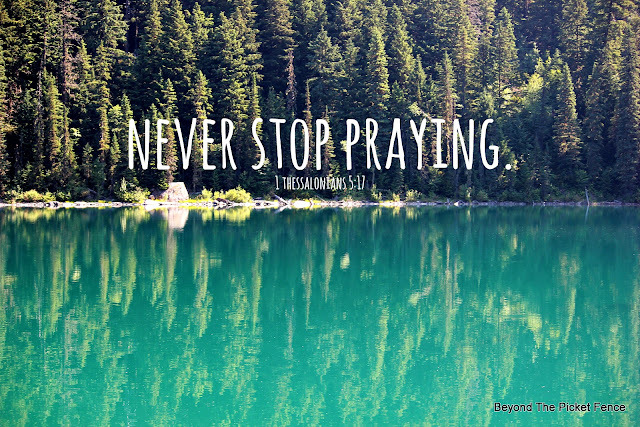 Praying should remind us that HE is in control, that HE has the power. Prayer also encourages us to be open and sensitive to others and their needs. Praying doesn't change God, it changes us and when we allow that to happen, we can rest in prayer and his power and truth. I've always believed we are blessed to be a blessing. I am blessed in many ways, one which is I am GIVEN beautiful, reclaimed barnwood scraps and pieces from a friend who is a cabinet maker. 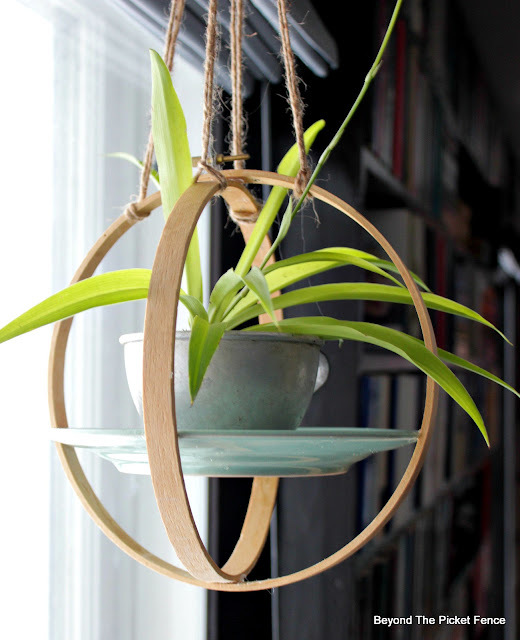 And because I am, I love to be able to use some of that wood to create items to donate to worthy auctions and causes. One such cause is our local YMCA. My husband serves on the Y board and we have been very impressed with EVERYTHING they do for the children and families in our community. Tomorrow is the annual auction and dinner to help raise money for the many YMCA programs and outreach. 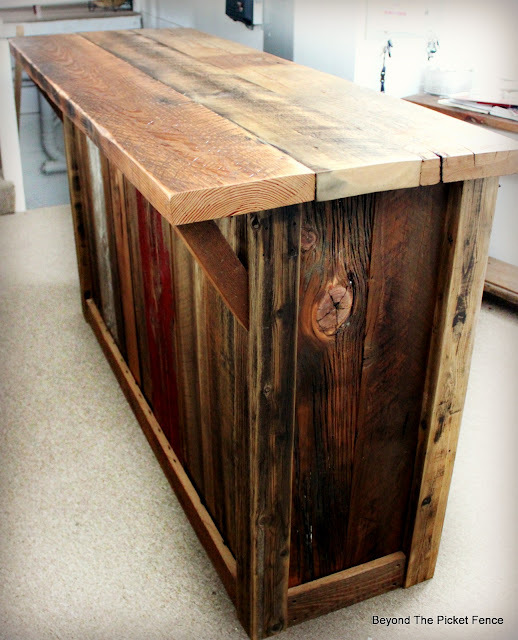 I made this six foot bar for the event. Happy Sunday! We have this little iron gate between our side yard and front yard. It is not attached to any other fencing, but rather closes off an opening in the hedge. While it is cute, we see it as a bit unnecessary and we keep it open most of the time so that the wildlife (deer, bears, turkeys, moose) can more easily pass through the yard. It reminds me that the more I learn about Jesus, the more I see that his gate (arms) are ALWAYS open to us. We all want to know we are loved and accepted as we are and we are called to do the same for others. 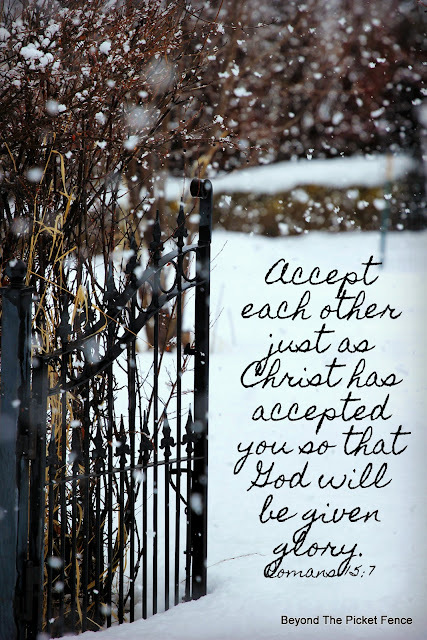 And, despite our differences and the faults and flaws, we need to remember to keep our hearts open to others and love and accept them just like Jesus does for us. 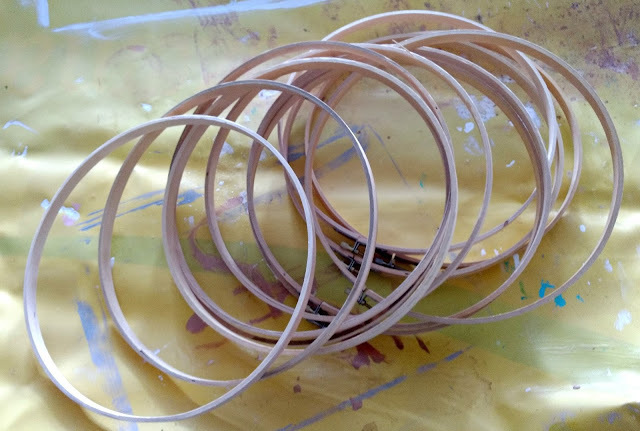 Today's Thrift Store Thursday project starts with embroidery hoops. These are another item I always look for thrift stores. They typically cost $.25-.50 each. 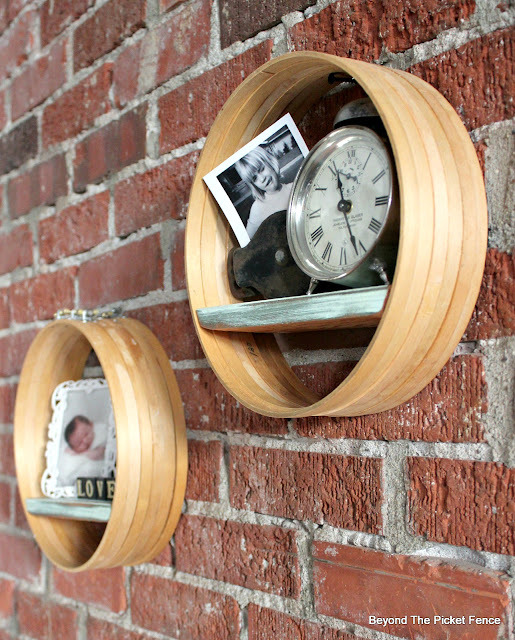 Using six 10" sized hoops, I made two boho, industrial style display shelves. After Christmas I knew I wanted something different for my gallery wall, but I wasn't sure what. I wanted something a little more casual and wanted to be able to change it up easily. I decided a few picture ledges would be perfect . Happy Sunday! If you follow my blog at all, you might know that most of the times when I am building, I build without a plan. I work and figure it out as I go. This can drive my husband nuts who wants a plan and a detailed drawing. I tell him be patient, it will come together and you will see it eventually. It reminds me of the poster I would often see as a kid that exclaimed, "Be Patient, God Isn't Finished With Me Yet." In the new year when most of us are making resolutions and trying to improve ourselves, we need to remember to be patient with ourselves. We need to slow down and settle down and let God work. 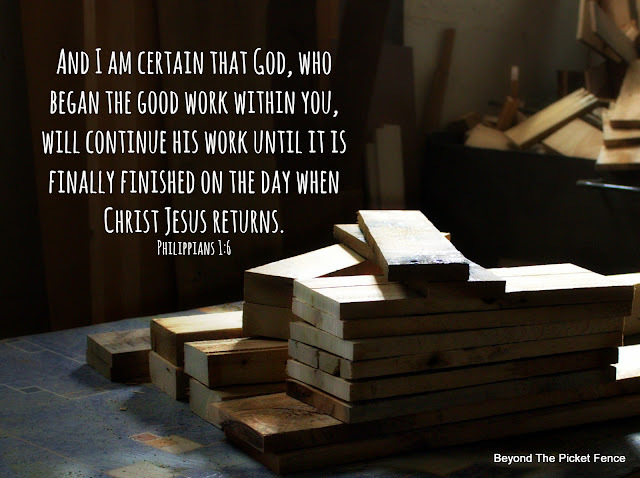 Whatever you are striving to change and improve in your life, give it to Jesus and trust that he will be working on it and will continue to until completion. Hello and happy thrifty Thursday! 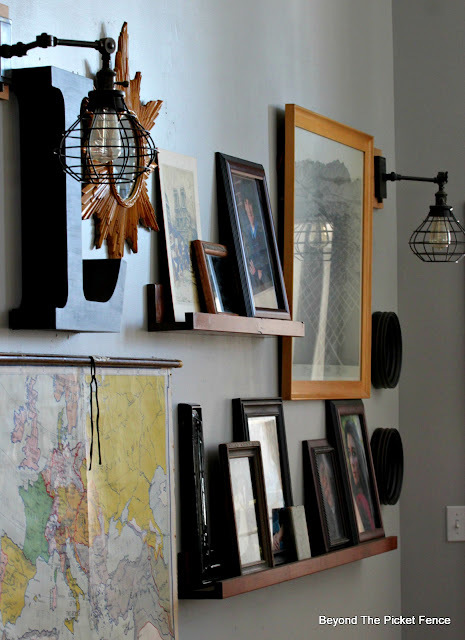 I am having so much fun hunting for thrift store finds to upcycle for my new Thrifty Thursday posts. 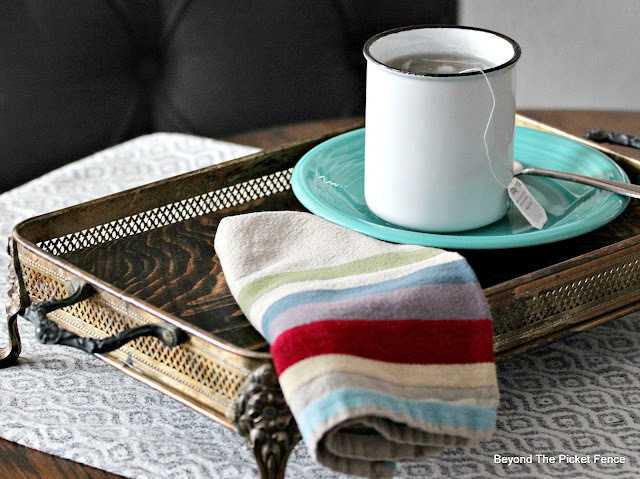 This week's thrift store makeover starts with a vintage, silver-plate, casserole carrier. These are an easy to find thrift store item and are always inexpensive because they are typically the carrier only, without the casserole dish. They come in all shapes and sizes--I used a rectangular carrier for this project. Happy Sunday! Living in Montana means we are no strangers to winter. Because we choose to live here, we try to embrace our ever-changing weather. But, it has been an extra wintry winter so far with lots of snow, sub-zero temperature days, and horrible driving conditions. My attitude has been less than positive and far from thankful, and I have had what I use to tell my students to avoid, stinkin' thinkin'. Earlier in the week as I was grumbling once again about the cold and fog, my daughter bounded down the stairs exclaiming, "It is so pretty out, I love it." I decided to bundle up and head outside and take a few photos of the ice crystals clinging to everything. And, she was right, it was beautiful--even our rusty burn barrel was transformed by the frosty fog. I was reminded once again how our attitudes and how practicing gratitude improves our lives. Science now shows that being thankful actually changes our mental health for the better. 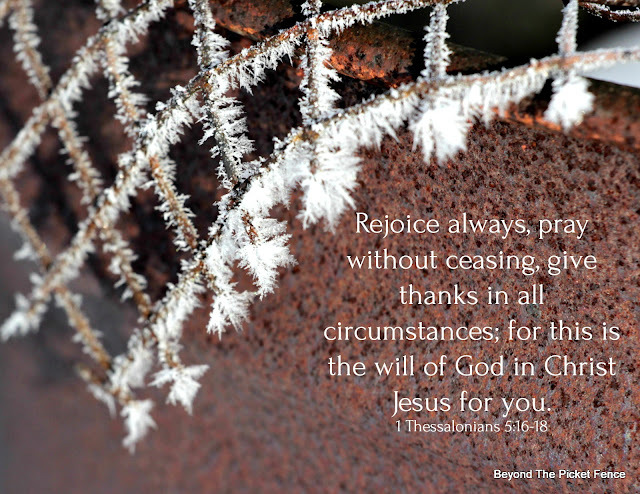 This year I am returning to the practice of keeping a gratitude journal and I am going to focus on rejoicing and being thankful in all circumstances. Happy 2018! Yes, I know, we are four days into the new year, but I am just getting into the swing of things again. I am slowly un-decorating the Christmas home and slowly working on new projects. 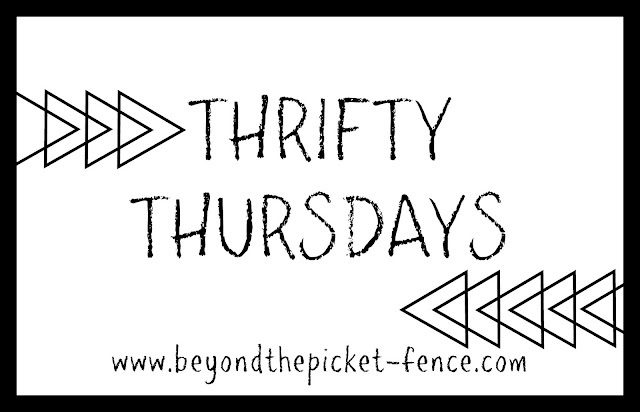 One feature I have decided to bring you in 2018 is THRIFTY THURSDAYS. My 12 Days of Christmas projects made from thrift store items was a hit so I thought I would continue the thrift store fun with weekly projects made from thrift store and garage sale items. My goal will be to MOSTLY share projects made with easy to find thrift store items, rather than the one of a kind find. BUT, every now and then I will share some thing created with that "Wow, I can't believe I found this at a thrift store!" item. 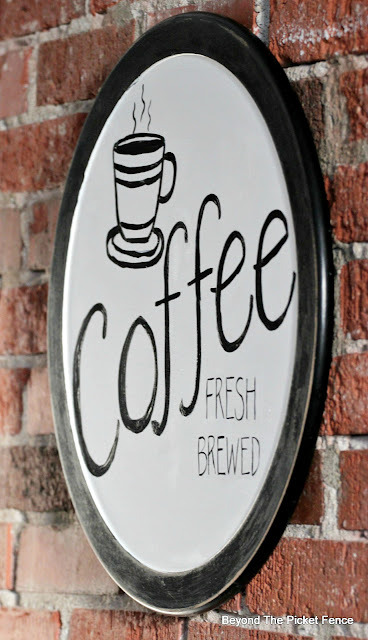 My first project was a farmhouse style coffee sign!